Okay, this is just getting wicked awesome! 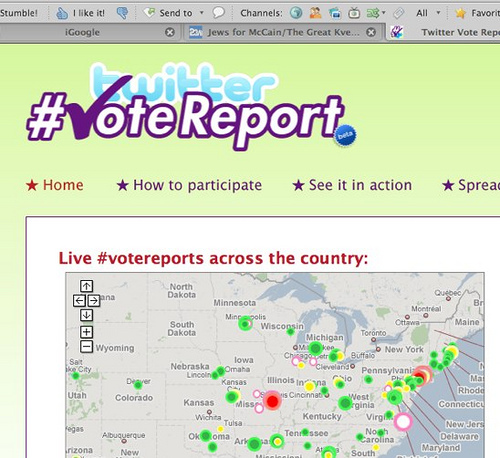 Twittervotereport.com is soooo winning the Golden Dot this year. My hats off to the entire team. It’s just the coolest thing I’ve seen in so long. Be sure to make a twitter vote report today, and while you’re at it, why not Video You Vote too? Also, if you see any problems at your polling place in need of immediate assistance, call 1-866-Our-Vote.